Tommie Copper is a brand of compression clothing that is infused with copper. Tommie Copper was developed and founded by Tom Kallish, a self-described weekend warrior who required back, knee, and hip surgeries following a serious water skiing accident. The accident and subsequent surgeries left him with chronic arthritis pain. When Kallish looked for compression wear to relieve his debilitating pain, all he could find was bulky, restrictive, medical compression materials which made him more uncomfortable, not less so. What do creative people do who can't find what they are looking for? They make their own. And he did. Tommie Copper compression wear includes compression sleeves for the ankle, calf, knee, wrist, and elbow. There are men's and women's Tommie Copper compression tops and bottoms. There are fingerless and full-finger compression gloves. Underwear, tights, calf socks, and crew socks are also available. There are also Tommie Copper products designed for back support, including core bands. You can view images of each of the products and you can order online from the Tommie Copper website. You've probably heard of copper bracelets for arthritis pain (not part of the Tommie Copper product line). While the bracelets are not proven to be effective, some people swear that they relieve pain. Actually, researchers have long studied the effects of copper on inflammatory conditions. There have been studies that concluded copper bracelets are ineffective. The bracelets may merely act as a placebo in people who claim they work. Tommie Copper promotional materials state that copper has been used for thousands of years to help reduce inflammation, grow and sustain connective tissues, and aid in blood flow and oxygen transport. Therapeutic copper compression (TCC) used in Tommie Copper products combines "a patented 56% copper-infused nylon yarn with a proprietary multi-directional compression technology." With their compression wear, Tommie Copper positions the copper directly over the source of the pain or injury. Tommie Copper products are designed to be worn 24 hours a day, even while sleeping. 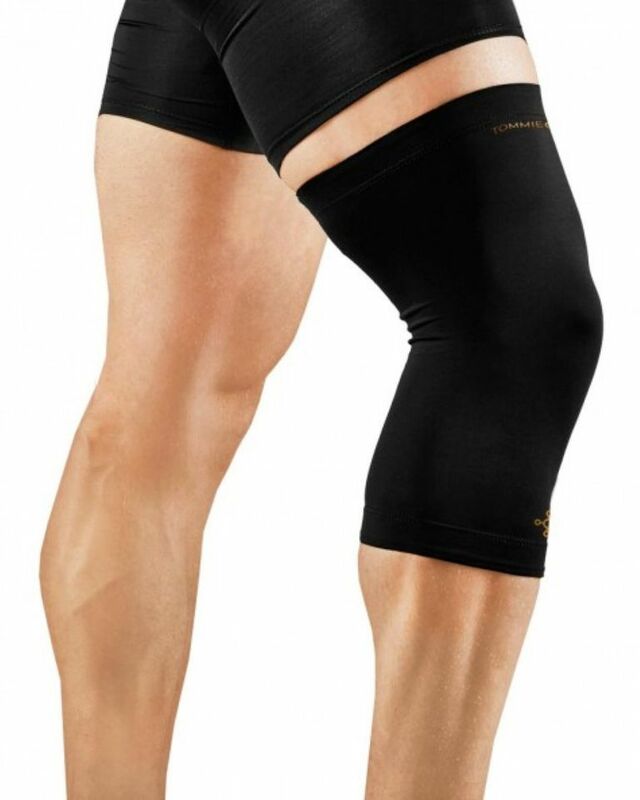 Benefits of the compression include pain relief, muscle healing, and improved blood flow, while decreasing inflammation and swelling, according to Tommie Copper. In 2015, Tommie Copper paid $1.35 million to settle FTC deceptive advertising charges and have since changed the way they market their products, but the copper remains. Size charts are available on the Tommie Copper website. It's important to get the correct size so the product will provide adequate compression. While Tommie Copper products are designed to provide gentle compression, a sleeve, shirt, or glove that is too large will not provide the desired benefit. Size matters. Tommie Copper stands behind its products. All Tommie Copper products come with a 60-day money back guarantee, which starts the day your order ships. Bracelets 'useless' in arthritis. BBC News. October 26, 2009. Lewis Alan J. The role of copper in inflammatory disorders. Agents and Actions December 1984. Volume 15, Issue 5-6, pp 513-519. Richmond SJ et al. Copper bracelets and magnetic wrist straps for rheumatoid arthritis--analgesic and anti-inflammatory effects: a randomised double-blind placebo controlled crossover trial. PLoS One. 2013 Sep 16;8(9):e71529. Richmond SJ et al. Therapeutic effects of magnetic and copper bracelets in osteoarthritis: a randomised placebo-controlled crossover trial. Complementary Therapies in Medicine. 2009 Oct-Dec;17(5-6):249-56. Epub 2009 Aug 28. What Is the Effectiveness of Magnet Therapy for Arthritis?